Students will learn the basic stitches of woven tapestry and pursue their weaving journey by creating an original wall tapestry piece. Class includes your very own weaving kit; yarn, needle, scissors, stitch booklet, and a locally made frame loom all in a cute tote bag! Chantel Bryant had been working in the fashion industry for over 11 years and has designed apparel for several leading Action Sports companies in Orange County. She currently teaches fashion courses at several local community colleges. 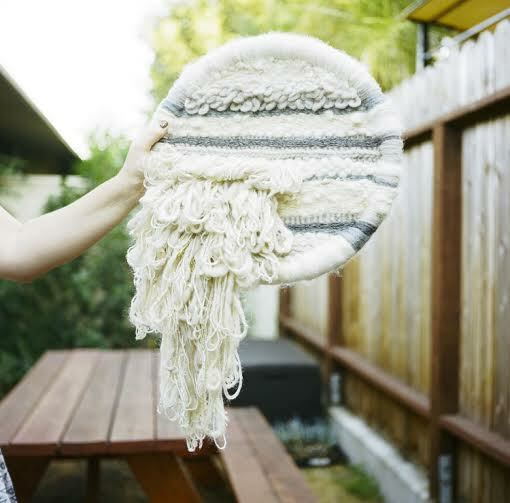 Chantel has a BFA in 3-D Design: with an emphasis in Fiber from California State University Long Beach. She is passionate about weaving and loves the creative process.